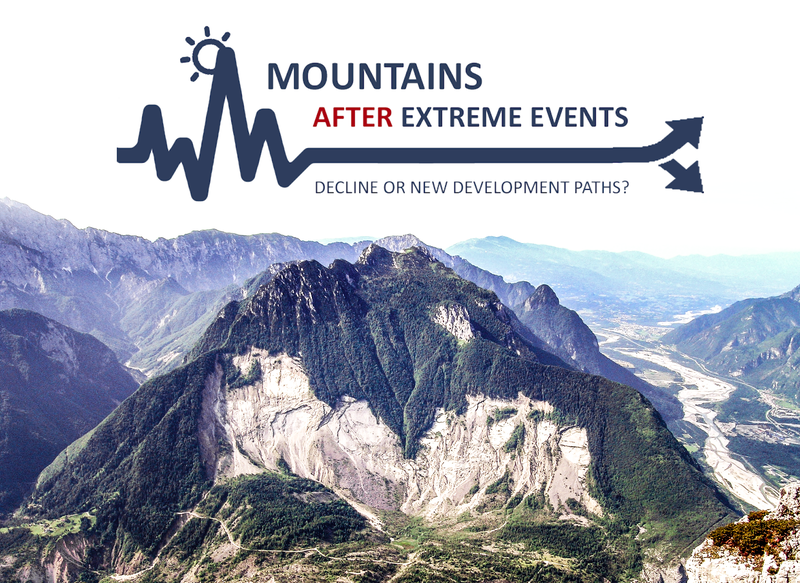 Rete Montagna Conference 2016 will be held in the Apennines, and addresses all European and non European mountains, in their more general or specific contexts. We particularly welcome papers on comparative themes related to European and Mediterranean mountain areas and on topical issues of Apennines in relation with the Alp with a thematic, theoretical or methodological emphasis. Experten für wissenschaftliche Studien, die sich mit Bergregionen befassen, sind eingeladen ein Abstract mit maximal 2.500 Zeichen (inklusive Leerzeichen, Titel und Autor nicht inbegriffen) innerhalb 12. Februar 2016 an retemontagna2016@gmail.com zu senden. Der Beitrag kann in einer der Sprachen der Konferenz Italienisch, Englisch, verfasst werden. Die Abstracts sollten einen Überblick über die Probleme und Ziele, die Forschungsfragen, eine kurze Beschreibung der Methodik, die wichtigsten Ergebnisse und Schlussfolgerungen enthalten. Jeder erste Autor kann nur ein Abstract einreichen. Der wissenschaftliche Beirat des Kongresses wird innerhalb 04. März 2016 die besten Vorschläge für die vier Sitzungen auswählen. Die ausgesuchten Beiträge werden in das offizielle Tagungsprogramm aufgenommen. Anschließend haben die Autoren die Möglichkeit, ein Full Paper für den Tagungsband (mit ISBN-Code) einzureichen. Der Eintritt ist kostenlos. Die Veranstaltung wird in L’Aquila stattfinden. Authors are invited to submit original papers that are not being considered for publication in any other forum. Manuscripts should be submitted in WORD format. By submitting an abstract, the paper and/or a poster, you are granting the Rete Montagna permission to publish it in the conference proceedings and to disseminate it also electronically. Presentations will be audio and video recorded and made available to conference attendees after the conference. All contributed papers (oral presentations) will be scheduled for 20 minutes, which includes 15 minutes for the presentation and five minutes for questions. We urge participants to consider presenting their work as posters; it’s a great opportunity to obtain interesting and valuable feedback on ongoing research from a knowledgeable crowd at the conference. We are looking for submissions of research posters, describing ongoing research, exciting new research projects, and encouraging preliminary results. Priority will be given to poster proposals which clearly communicate innovative research to the whole conference audience, with a focus on impact and applications of the work. Accepted posters will be displayed for the entire conference on poster boards. Presenters are required to be present at the specific time in order to take part in the discussion and exchange views with other colleagues. Presenters should prepare the best material (visually appealing and succinct) that effectively communicates research problem, techniques, results, and what is novel and important about the work. All posters papers must be in English and all figures, photographs, and diagrams to be used for poster presentation must be clearly discernible and tidy. The presented posters will be digitally archived and made publicly available after the conference. An award will be given to the three best posters judged during the conference by attendees and by the Scientific Committee of the Congress. The evaluation will be based on quality of research work and quality of poster presentation (concept of poster, the general idea, the technical details offered and insights to be learned, organization of poster, clearly conveying a snapshot of work intended to engage colleagues and research findings and results of the work). It’s a wonderful opportunity for young scientists (under the age of 35) to be recognized and honoured for their outstanding research about the Alps. The Best Posters will be recognized during the “Conclusion” of the congress.